Gelinaz is a concept devised over a decade ago by Food Writer, Andrea Petrini, and involves a loose affiliation of chefs being brought together. The Grand Gelinaz Shuffle is the same idea but on a global scale with 40 of the best chefs in the world swapping lives, identities and restaurants to create a one-of-a-kind culinary experience. Cooking for us last night at Jock Zonfrillo’s Restaurant Orana was Mikael Jonsson, the Head Chef at Hedone in London. 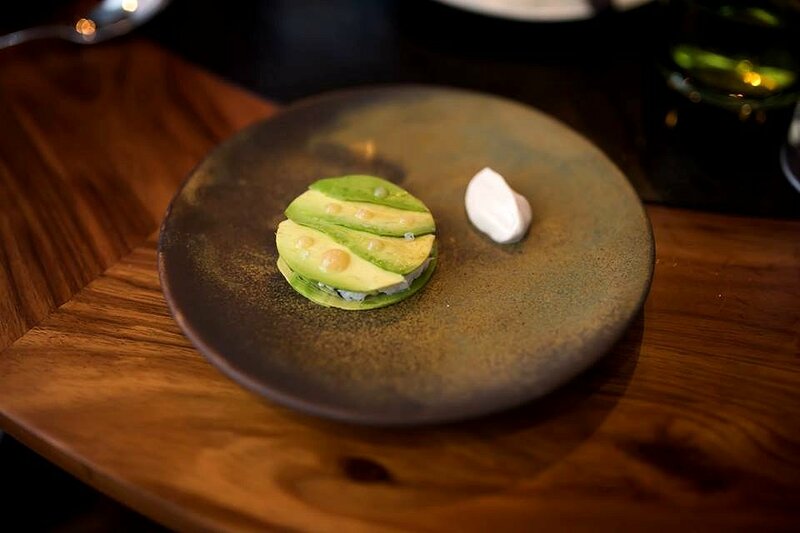 Awarded the Michelin Star in 2013 and known for his skills in French cuisine, Jonnson familiarised himself with native Australian ingredients and classic staples such as Vegemite. Fortunately for him, we have access to some of the best produce in the world, which is a win-win situation for everyone involved. 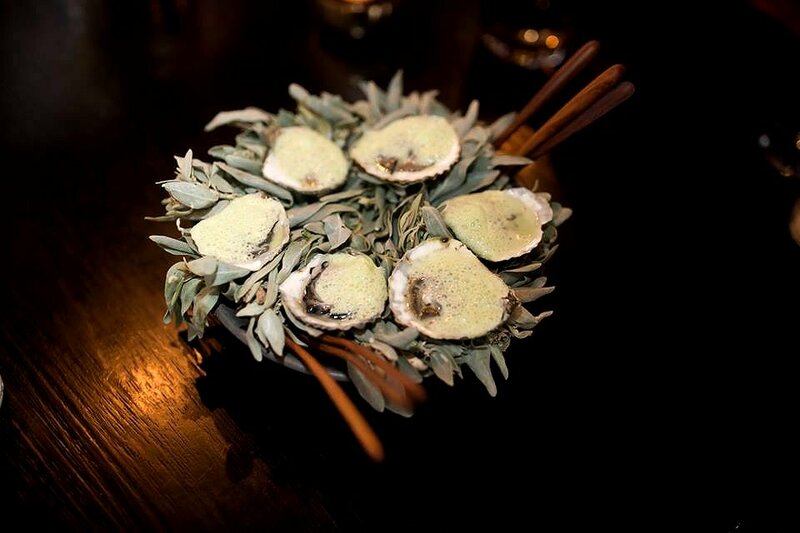 We start off with the Angasi Oyster with strawberry eucalyptus and sheep sorrel. Firstly, sheep sorrel is a native plant with no presence of mutton whatsoever. The mild tartness of the sheep sorrel was balanced by the subtle sweetness of the strawberry eucalyptus. The mixture of the two ingredients resulted in a liquid similar to a green smoothie which helped mask the aroma of raw oyster. 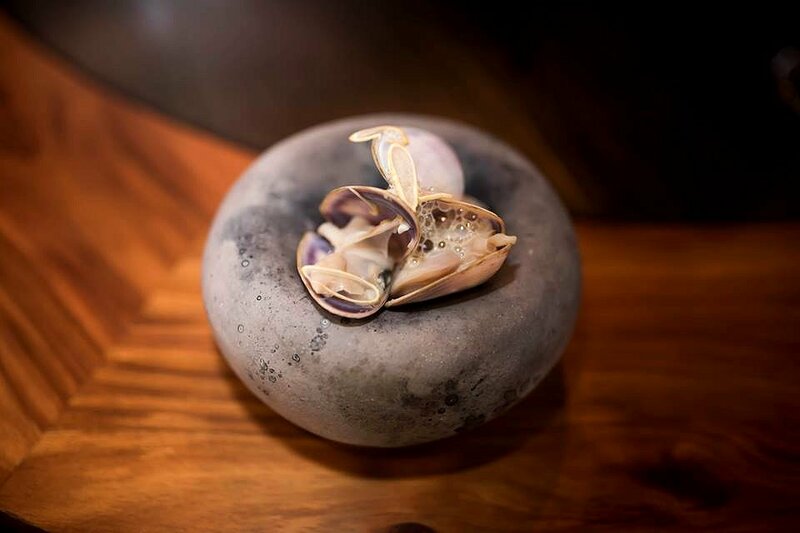 The Goolwa Pipis with wild garlic and young almond were presented in beautiful caveman-style stone bowls. The pipis were juicy and succulent, and were soaked a light broth that had hints of garlic. The presence of almond added a nice crunchy texture to the dish. 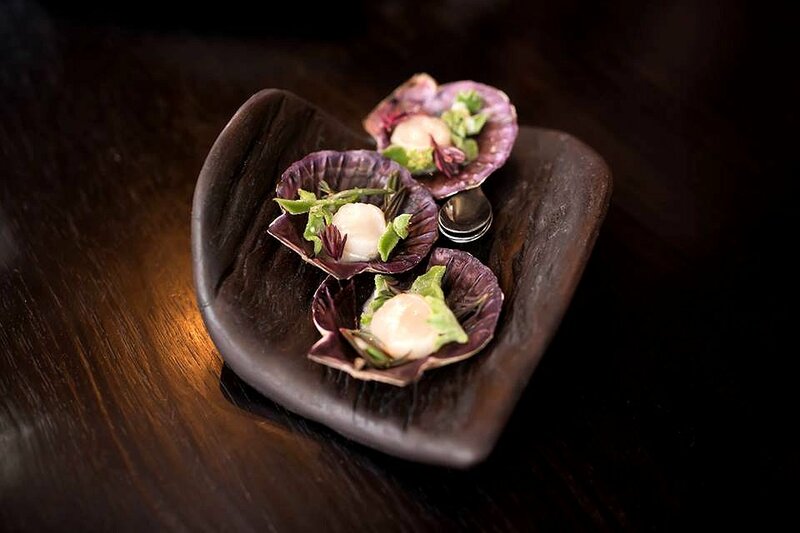 Next were the KI Scallop with white aspen and sea blight. The scallops were still alive prior to cooking so you can’t get fresher than that. The scallop was firm and juicy, and the subtle orange flavour from the white aspen was balanced by the saltiness of the sea blight. One of my favourites of the night was the Blue Swimmer Crab with avocado and hazelnut. The crab meat was sweet and it had a soft and delicate texture. This matched seamlessly with the outside layers of avocad0. A dish I could have again and again. 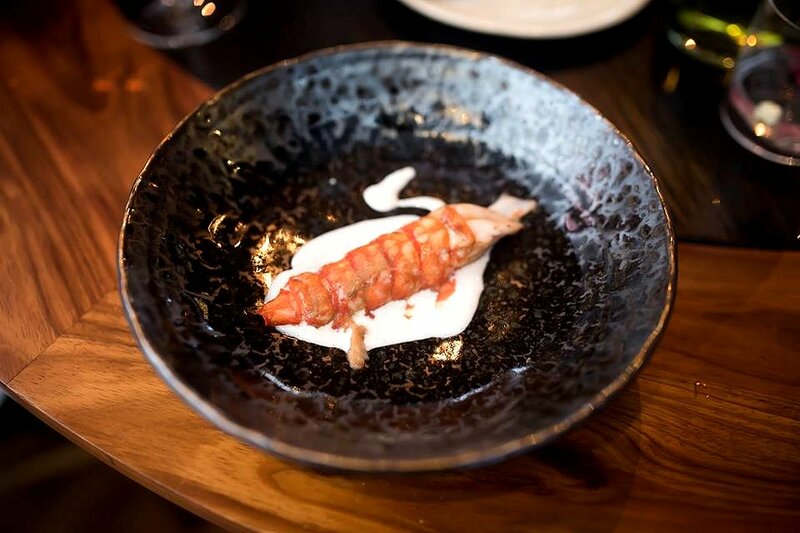 The Smoked Marron and macadamia can be defined as luxuriousness on a plate. The marron was smooth and slippery as we ate with our hands. The texture was silky and delicate, and there were lovely smokey flavours. It worked well with the macadamia sauce which added nutty flavours to the dish. Looking at vegemite in a whole new light was the Vegemite and Wild Peas. The presence of vegemite was evident through the aroma of the dish. The taste itself was more subtle as it was made into custard form. Who would have ever thought to combine vegemite with peas, but the combination was just brilliant. 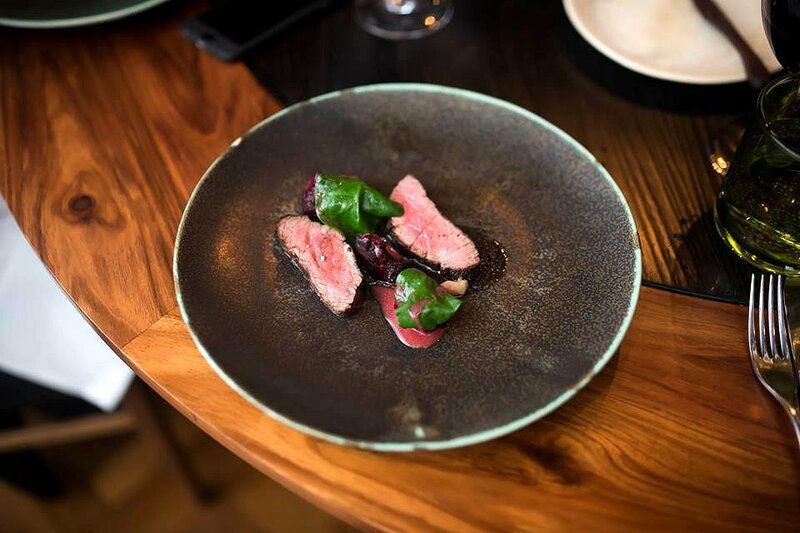 The other favourite of the night was the South Devon Beef with beetroot, bone marrow and black garlic. The beef slices were charred on the outside with lovely pinkish centres. The meat was juicy and succulent, and each bite was simply memorable. The sweetness of the beetroot and the sharp taste of the garlic worked hand in hand, and really completed the dish. The cheese dish was Kris Lloyds ‘Rufus’ semi hard buffalo cheese and davidson plum. 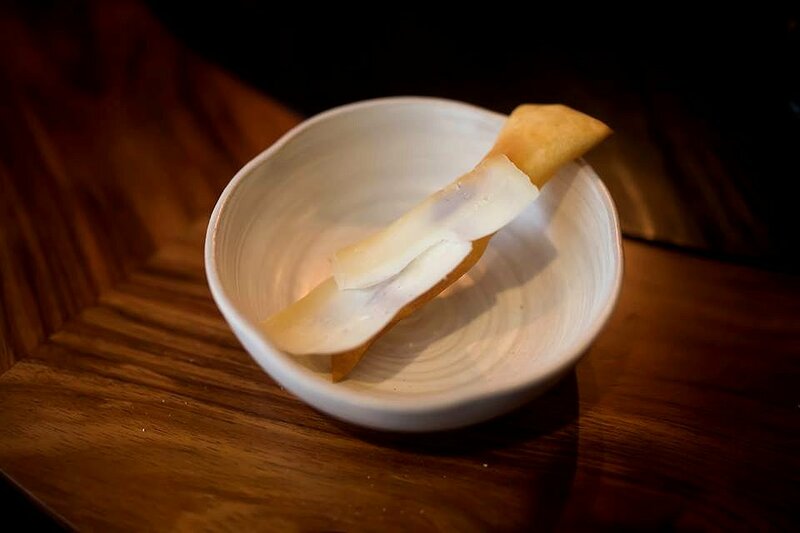 The thin slices of cheese were robust and full flavoured, and were balanced by the sweetness of the davidson plum. All the elements were brought together by a deliciously crunchy cracker. 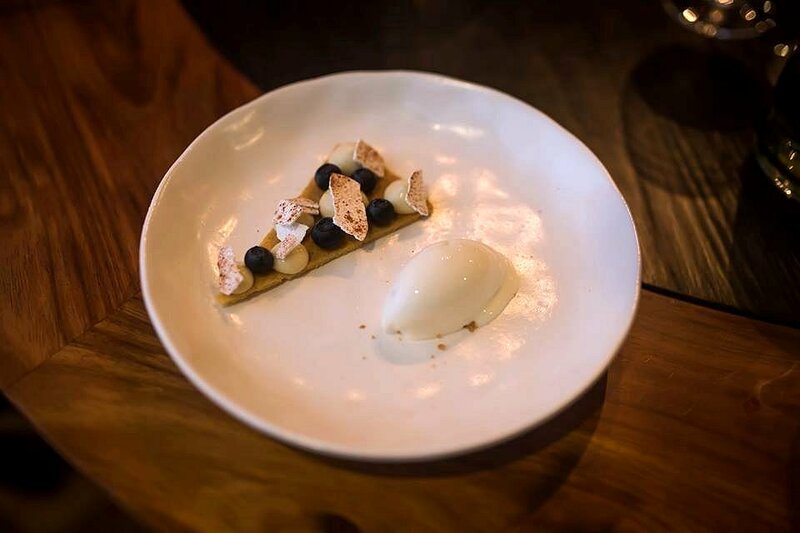 For dessert, we had the Lemon Myrtle, blueberries, meringue and eucalyptus. The flavour of eucalyptus is certainly not for everyone as some can find it a little overpowering. In this case, the flavour was subtle and it worked well with the fragrance of lemon myrtle. The dessert was not overly sweet with a good contrast of textures at play. The Grand Gelinaz Shuffle is like a culinary experiment on a global scale. It takes the chef outside of their environment and in this case, work with ingredients that they’ve never seen or tasted before. Of course, with 40 of the best chefs in the world, they’re certainly up to the task. What we experienced tonight was something truly unique and delicious, and we can’t wait to see what in store at the next one. 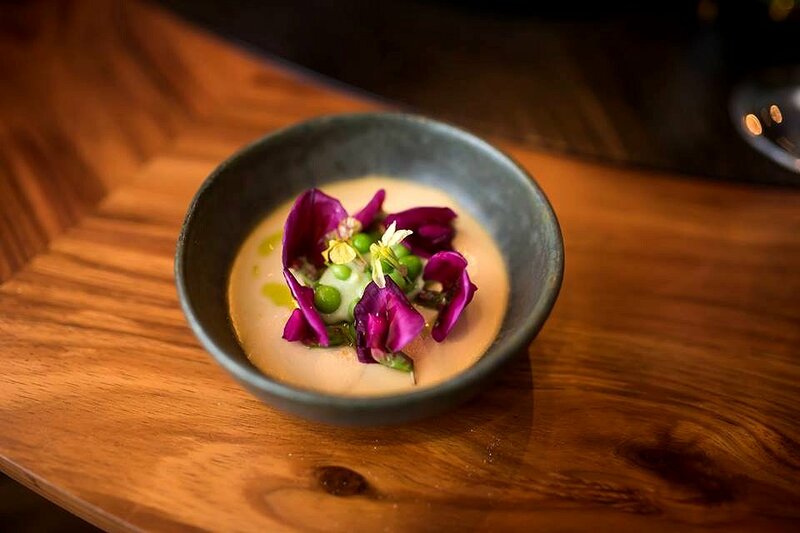 Adelaide Food Central would like to thank Mikael Jonsson from Hedone, the staff at Restaurant Orana, and the South Australian Tourism Commission and Tourism Australia for the invite.